Hoping here for guest bloggers soon: Rob Pluta, Daisy Hickman and Susan Tiner. In the meantime, I thought it was time for me to ponder the writing process with you and with the hope that you will comment. For today: Leavings, poems and the short story as lyric. I believe that the poem and the short story share the quality of concentrated language to express both feeling and thought. 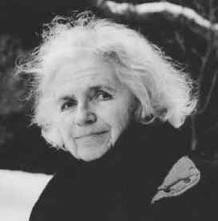 I put these two poems “My Mother’s Pears” by Stanley Kunitz and the much anthologized “One Art” by Elizabeth Bishop with the story “Friends” by Grace Paley for this reasons: All deal with loss. The day before I drove my oldest child to college, the day he really left home, for his returns since then have been visits, I sat across from him at a French patisserie on Connecticut Avenue in Washington, D.C.—not a very good cafe, a copy of the real thing—and I thought not about his leaving but about the way he first came, of that moment when the doctor cut the cord and gave him to me. Both loss and gift. At the time, both my mother and my sister were dying of long term illnesses. So loss was on my mind and has been ever since. Kunitiz, Bishop and Paley, these three writers in these three pieces, express loss and give meaning to it. 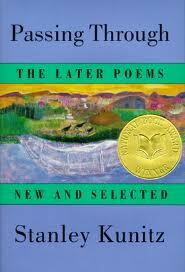 More than a decade ago at age 90, Stanley Kunitz won the National Book Award for his poems, “Passing Through.” I heard him read “My Mother’s Pears” the year before at the Library of Congress’s Academy of American Poets celebration of its chancellors. And it was one of those poems that produced an audible sigh among the crowd as if we all said together, “Yes, that’s how it feels, the memory of what’s been lost and what remains.” We saw his scene, with the shovel in his hand, his mother in her kerchief, his sisters in their middy blouses, and conjured up our own. by Stanley Kunitz, Passing Through, "New Poems"
and a single bright leaf like a flag. as always at harvest time. and the velvet drapes come down. with a shovel in my hand. her glasses glint in the sun. in their matching middy blouses. Elizabeth Bishop’s beautiful villanelle, with its similar understatement moves me with its specifics that get larger and weightier as the stanzas progress--from lost keys and lost hours to the loss of the gesture of the one she loved. It is this use of the specific in the concentrated moment that I think the poem shares with the short story. 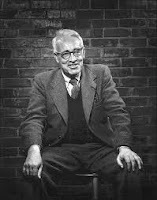 Frank O’Connor in his study of the short story, The Lonely Voice (sadly, appears to me to be out of print; I own an old copy and will try to photograph it soon), says of the short story writer, “Because his frame of reference can never be the totality of a human life, he must be forever selecting the point at which he can approach it, and each selection he makes contains the possibility of a new form as well as the possibility of a complete fiasco” (p.21). It is this selection process of each moment and word that I think the short story writer shares with the poet. Annie Dillard in Living by Fiction in her chapter on prose styles and speaking particularly of what she calls “short prose objects” (the short-short perhaps?) says that “fiction in this century has been moving closer to poetry in every decade” (p.114). And perhaps later that is explained when she speaks admiringly of what she calls “plain prose”: “This prose is craftmanlike. It possesses beauty and power without syntactical complexity” (p. 118). Grace Paley writes this kind of simple, concentrated prose. She carefully selects her moments and her words and in so doing creates new form and humble, carefully crafted prose that honor her characters and the world. She was born in 1922 to Jewish immigrant parents. Her mother was 38 when Grace was born. Her father was a successful family doctor. Her sister Jeanne was 14 and her brother Victor 16 at the time. 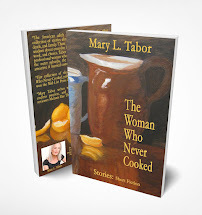 The story goes that neither knew their mother was pregnant until the birth--that their mother Manya never mentioned it and that she was a fat woman who just got a little fatter. Grace grew up surrounded by adults, (her father’s mother and sister also lived with them). When she was 13 her mother developed breast cancer and was ill for many years until her death after Grace was married. 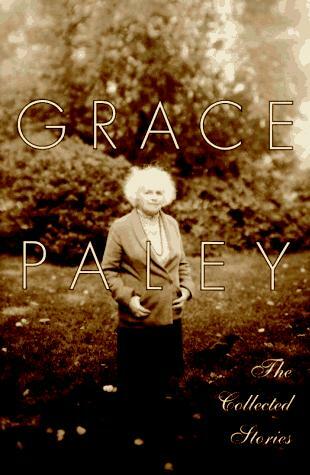 She married Jess Paley in 1942 when she was 19 and a half, had two children, Nora and Danny. She divorced Paley after 25 years of marriage and later married Bob Nichols. She lived most of her life on Eleventh Street in lower Manhattan in the Village. And most of her stories are set there in the apartments, the streets, the parks. 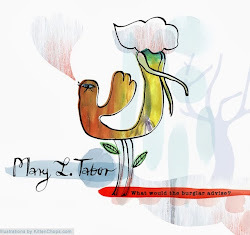 She is widely known for her political activities: opposition to the Vietnam War and the Gulf War, her outspoken concern for environmental issues. Some call her a feminist. 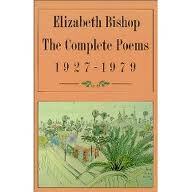 She published three short story collections: Little Disturbances of Man in 1959, Enormous Changes at the Last Minute in 1974 and Later the Same Day in 1985. 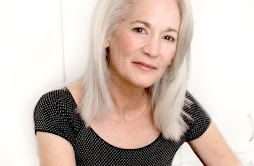 Her Collected Short Stories appeared in 1994 and was a National Book Award Finalist. She never wrote a novel, though she tried once and was sorry for it. She has said in explaining that choice, “Art is too long and life is too short.” She died recently but lived until most of her life with Bob Nichols in Vermont. 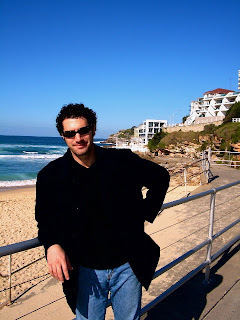 That report comes in details that do not move in clear chronological order and that pile up on one another to realize the losses life demands we sustain and the hope that our connections with one another offer. • On page 303: “Our dear Selena had gotten out of bed. Heavily but with a comic dance, she soft-shoed to the bathroom, singing, ‘Those were the days, my friend...’ ”In the phrase, “soft-shoed” she gives us the image of dance but also of bedroom shoes and shuffling and illness. • On page 306, “Still we couldn’t move. We stood there in a row. Three old friends. Selena pressed her lips together, ordered her eyes into cold distance.” In the phrase “cold distance” she evokes both Selena’s impending death and her determination. • And right there, in the next sentence, when the narrator says, “I know that face,” we find Grace Paley’s characteristic authorial voice. She uses a shift to the present tense to put us inside the narrator’s head for another story. One day, after my children had left home and my mother and sister had died, I read this story out loud in the car to my husband who was driving us somewhere. When I was done I wept at the sadness and the joy of all those conversations in the story. I wondered how Grace Paley had achieved this weaving of talk and comment and picture, as I sat there crying for my own losses and my own joys remembered. I recall now that first birth and close with the joy that is my son: To birth, to life!